The lowdown: Keanu Reeves’ latest is not so much style over substance, more style is the substance. 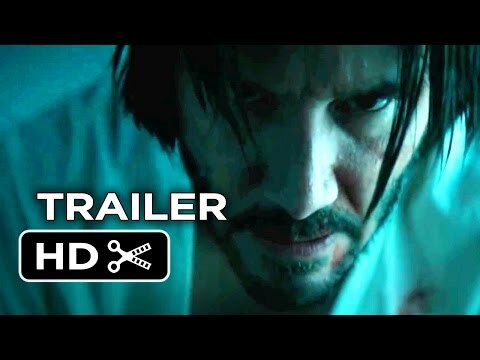 A boilerplate story of a retired hitman pulled back into “the life” to exact revenge when a gangster’s son does him wrong, John Wick offers no surprises plot wise. 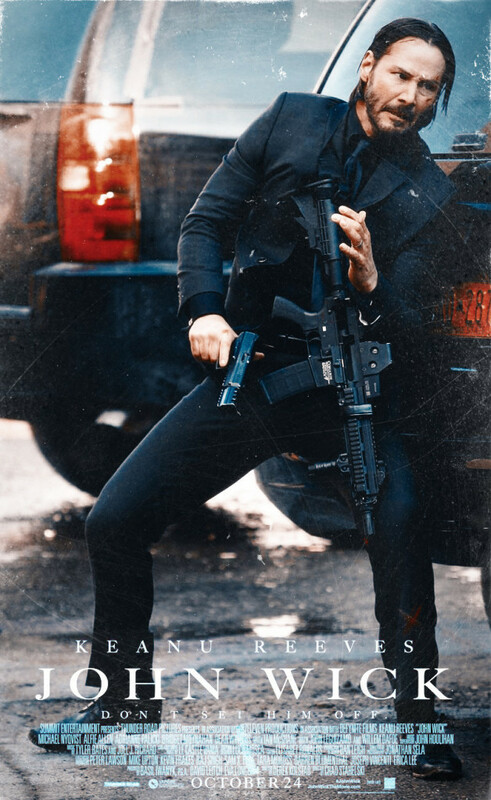 But, stuntman turned director Chad Stahelski can do action and there is grisly fun in watching Reeve’s reticent hitman unleash Gun-Fu mayhem on his enemies. Watch it with brain fully disengaged and eyes wide open. The full verdict: While Sean Penn embarrasses himself with midlife crisis action movie The Gunman, 50-something Keanu Reeves breezes in and shows everyone how it’s done. Those stellar Hawaiian genes mean Reeves is still Hollywood’s Peter Pan (forget Johnny Depp) and he has lost none of that Matrix mojo as he lets loose on an army of hapless mobsters, busting heads and cooking fools. But, Keanu’s been franchise-less since those Neo-days and Constantine, Man From Tai-Chi and 47 Ronin did him no favours. John Wick (sequel already greenlit) will change that. Modest US box-office belies a global sleeper and a growing cult that is seeing action fans getting Wicky with it. And for those looking for no-brow, ballistic entertainment this delivers. Directors Chad Stahelski (credited) and David Leitch (uncredited) are Matrix stunt team alumni and can stage stylised martial arts n’ automatic weapons fury the same way Disney can make a princess movie. Gun-fu was previously seen in that pre-Batman Christian Bale movie Equilibrium and is resurrected here in grisly, gorgeous glory. Various automatic and semi-automatic weapons become extensions of Wick’s fists, delivering knock-out blows with high-calibre finality, set to the pounding beat of Marilyn Manson’s Killing Strangers. Stahelski and Leitch have an eye for steely, noir visuals, with shots resembling panels of art from an unpublished graphic novel, making New York seem an unfamiliar netherworld for the first time in a long time. Yet, what keeps John Wick merely in the “fun” camp is the size zero story. Mourning his wife, Wick is then set upon by Alfie Allen’s Iosef, loose cannon son of mob boss of Viggo (The Girl With The Dragon Tattoo’s Nyqvist). One dead dog and stolen Mustang motor later and Wick is creating hell to get at Iosef, via spectacular shoot-outs. Rinse and repeat. Screenwriter Derek Kolstad brings a few nice touches: gold coins are the only accepted currency and luxury hotel The Continental is the one neutral place in the city where a hitman can get a quiet night’s kip (though unsurprisingly that rule is broken). But, the plot is riddled with gaping holes. If Wick is “the man you send to kill the bogeyman” why has Iosef never heard of him? Why does someone say John once killed three men with one pencil if he then is allowed to do nothing like that here (remember Bourne and that rolled up magazine)? Why do villains monologue when they have the drop on Wick? How could John let a greenhorn like Iosef get to him in the first place? A classy supporting cast elevate the pedigree and paper over the cracks. Ian McShane lends his usual velvet menace as the Continental’s hotelier, The Wire’s Lance Reddick is a hotel clerk fresh from The Shining, the ever wonderful Willem Dafoe a blast from the past and Adrianne Palicki romps up a storm as a female assassin hot for John. At the centre though is Keanu. Exuding Steve McQueen cool, he can’t deliver a believable line of English (but is better speaking Russian), yet none of this matters when he’s clearly doing the lion’s share of his own rough and tumble amidst the flying lead and falling debris. Ultimately John Wick plays like a fantasy free version of The Crow. If you liked that, this will put wind beneath your wings.